This life-size monument was gifted to Dave McCoy, founder of Mammoth Mountain Ski Area in Mammoth Lakes, California on his 75th birthday. This Woolly Mammoth may be the most oft photographed subject, visited by over 2,000,000 people every year. 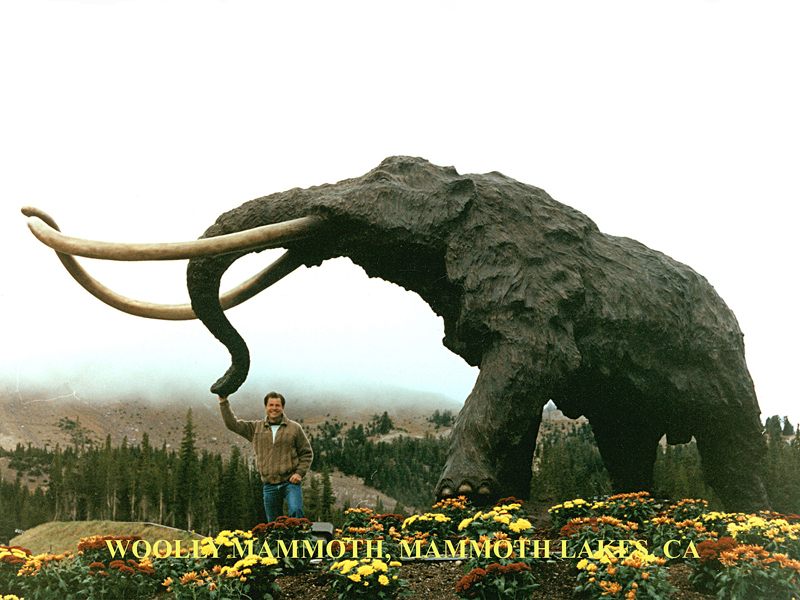 The mammoth mysteriously disappeared many years ago, but Doug’s creation has brought him back to life for modern times.